Definition at line 143082 of file Cxx_Grammar.h. 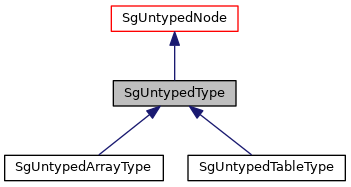 default unspecified type as identified by parser. implicit unspecified type for Fortran as identified by parser. void type as identified by parser. int type as identified by parser. unsigned int type as identified by parser. float type as identified by parser. double type as identified by parser. complex type as identified by parser. double complex type as identified by parser. boolean type as identified by parser. character type as identified by parser. character string type as identified by parser. bit type as identified by parser. fixed type as identified by parser. ptr type as identified by parser. status type as identified by parser. Definition at line 143094 of file Cxx_Grammar.h.